I have been so nervous/excited to post about this. 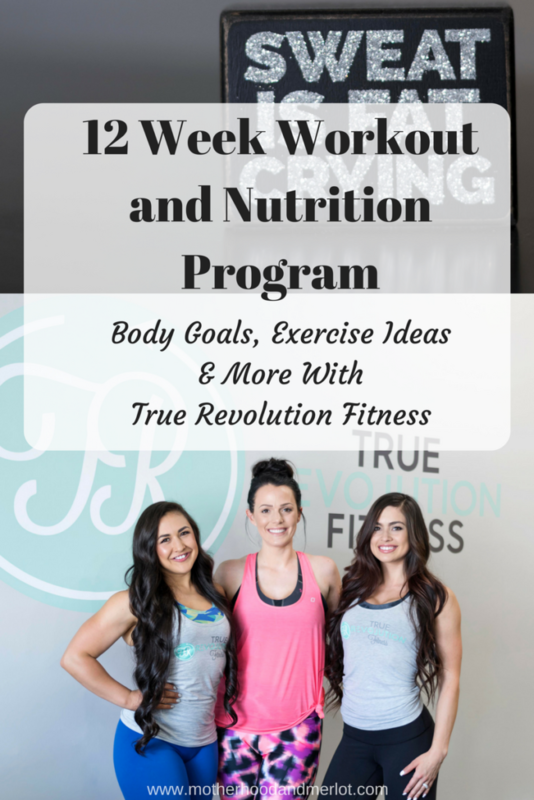 I have partnered with True Revolution Fitness here in Arizona to work through a 12 week workout and nutrition program. This is something that I have wanted to do for a long time, as I have just been working at home since I had my first daughter. While I have stayed in decent shape, I needed someone to push and motivate me more so that I could achieve all of the fitness and body goals that I have in mind. This is beyond exciting for me, because I always feel like women have a hard time working out. We have so much on our plates, some gyms aren’t the ideal place because they are either too crowded, too intimidating, or not motivating enough. Arizona (and surrounding area) ladies, I have found the best hidden gym gem for you! I love the message at TR Fit. It is one of the things that made me want to partner with them in the first place! 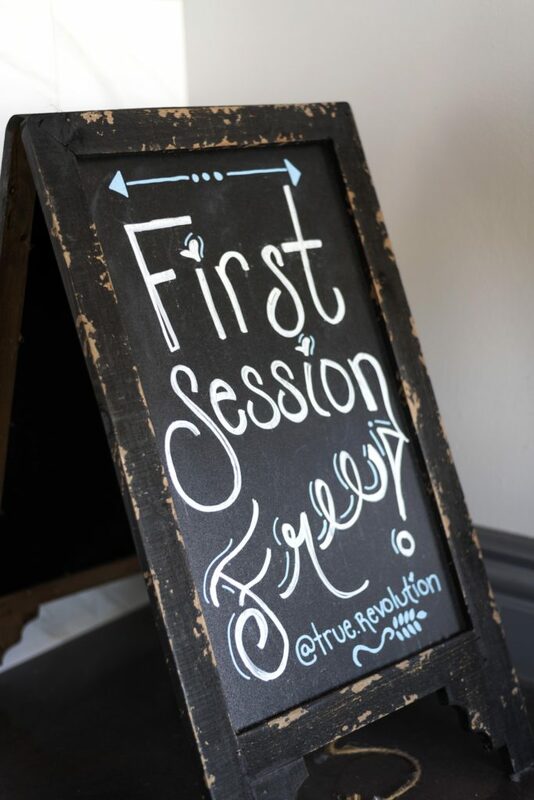 “True Revolution Fitness has a heart to empower women to become their best self! We believe that exercise should be FUN, food can be both healthy and delicious, and the key to achieving your goals is believing in your own unique abilities! Every person has a beautiful body that is capable of extraordinary things! Every one of the training programs is specific to your body. You won’t ever get the same workout or nutrition plan as everyone else, because it is specific to your needs and the things that you want to achieve. They work specifically with your goals, and really take the time to sit down with you and listen to what you want to improve, change, tone, lose, or want to challenge yourself with. Their training style combines movement based resistance training (free weights, kettlebells, resistance bands, TRX, battle ropes, etc.) with high intensity interval training (cardiovascular training that elevates your heart rate), and it is accomplished in only 45 minutes! This combination is proven to increase your strength and endurance, boost your metabolism and blast calories. There is also focus on joint mobility and flexibility to ensure that your body is moving properly. Because of the way the workouts are run, the level of intensity can be fairly low, or extremely intense depending on the individual and their fitness background. 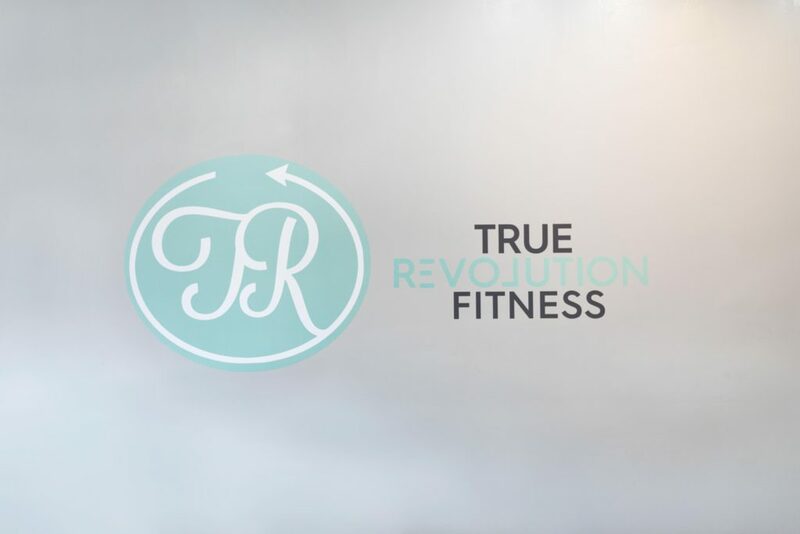 For more on True Revolution, head over to their website, Instagram and Facebook page for class times, motivation, and more! For me, my goals were the following. Christina and Carmen take measurements every few weeks to make sure that you are staying on track, losing the right amount of weight, and seeing results. If not, then they will edit your specific plan to get the right kind of results. My exercise plan is at least 3-4 a week in the gym, while maintaining my workouts at home on the days that I am not there. I have one rest day, which is almost always Sunday for me. So far, I have been doing this for two weeks and am already feeling great about it! The nutrition plans that they give to their clients are holistic and follow a similar plan to a Paleo lifestyle. It has actually been fairly easy for me to get into the hang of having a meal plan. I have even started meal prepping! You guys, this is getting serious. We are making moves with these body goals! These are all before photos, and I can’t wait to be able to post the afters! I typically wear a 30 inch waist, so I would like to get down to a 27. My hips, maybe a 38. I have had four kids, so there are some things that just aren’t going to shrink completely 😉 My thighs and arms, I don’t have any set number I want to get to. I just want them to be full of muscle tone. My body fat I would like to get down to around 16%, less if I can. I know that sounds extreme, and it may not happen in 12 weeks, but don’t think I will stop just after the 12 weeks is over! Doing this plan is a commitment. Any type of exercise and nutrition plan is not just going to be a magic fix unless you put in the work. I will be the first to say that some days, I do not want to go workout because I know it’s going to be TOUGH. But, it’s so worth it when I finish! Along this 12 weeks, I will be posting updates, tips, and of course, the final results! You will want to follow along here, Facebook, and Instagram to stay in the loop and keep me accountable! Make sure to subscribe on this page to get a free printable from myself and the gorgeous ladies of TR Fit. They are a sharing a 7 day kickstart and we would love for you to join in! 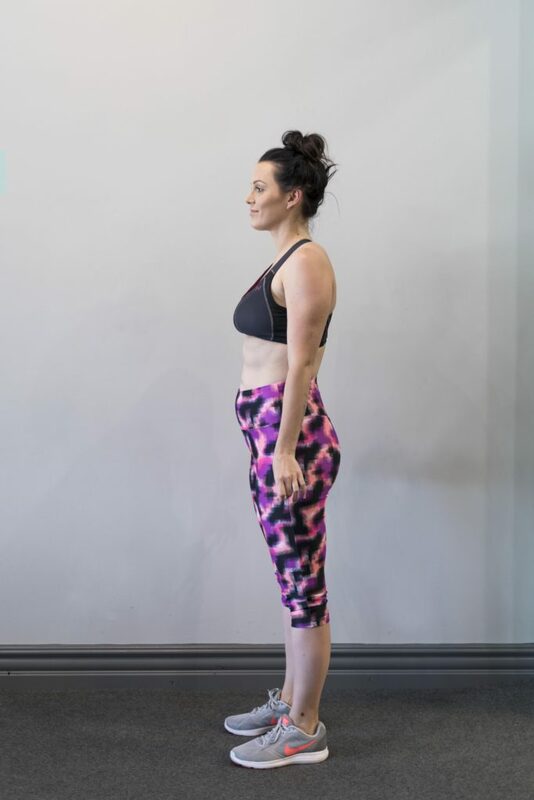 You can follow the printable for 6 weeks, half of my plan, and then come back to show us the results and tell us how it’s going. Not to mention, if you are an AZ local, I would love to see your face at True Revolution! Next week, I will be posting “8 Things You Need To Start Getting Fit”, and there are some really great items in there that you won’t want to miss! Congratulations on getting started! I’ve been wanting to get on a much better fitness routine for quite some time, mainly to help reduce stress and better overall health but it’s been hard getting jump started. I’ll take this as a bit of motivation to carry today! We don’t have a True Revolution in my area, but I think it’s great that you have a fitness center that is geared specifically towards women. Wishing you the best of luck as you continue on your fitness journey. I’m going to be working hard to get back on the fitness wagon this summer. You’re so brave to post all your stats online! I wouldn’t even want to know what I measure in at in this point of my life. Best of luck in your journey! Haha it was a very nerve racking post to write, that’s for sure! This is so cool! It will be such a great experience. I’m so excited to see your progress. Go mama! Just in time for my new workout routine starting tomorrow! Thanks for sharing! The afters aren’t on there yet:) They are both just the before photos. The after shots will come in the next 12 weeks. I know mentioned on instagram, but it’s SO great to have someone in our corner! Proud of you for taking this step! SO awesome! This looks like an amazing program! Good for you, mama! Congratulations on getting started! I’ve been wanting to get on a much better fitness routine for quite some time, mainly to help reduce stress and better overall health but it’s been hard getting jump-started. I’ll take this as a bit of motivation to carry today!